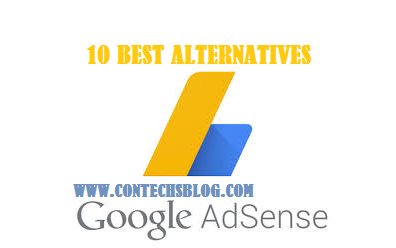 Here is a list of the best 10 Google Adsense alternatives in 2017 for any top blogger or website owner in order to make some money online, We all know that getting approval for Google Ads can be quite disappointing because you may not get your expected result and that is why i have complied this list of top alternatives to adsense to save you stress. If you live in a western country like the US, UK or some other tier 1 country then you may not find this list useful since google adsense approval process for countries in those regions has been known to be a lot easier and mostly fast, though you may find the list useful if you've been banned from adsense. However if you live in Asia or Africa and finding approval to adsense difficult then you should calm down and go through these alternatives to adsense below. It is still an undisputed fact that google adsense remains the best ad network among all, you shouldn't give up on applying until you've implemented this tips to get quick approval on adsense and failed. You shouldn't also switch from google's ad network to an alternative blogger adsense because you're not earning enough, this is because the amount of money you can earn on any ad network depends on a whole number of factors which includes the advertisers bid, your type of content, etc, if you get lots of traffic from these high adsense cpc countries then you would surely make lots of money and there shouldn't be any need for you to leave. Am not putting Media.net as the best alternative to adsense because it's owned by one of Google's top competitor (Yahoo), rather am putting it at that position because it has similar ads to adsense and may just be the perfect choice if you're looking to try another ad network on a website with huge traffic. 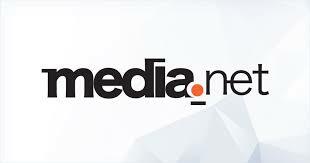 Media.net is known for mostly approving sites with lots of page-views which means you may not be approved if your blog or website is new or still in beta stage. You would make more money if your site's main traffic comes from American countries rather than African countries, it is also a contextual ad network so you've got nothing to worry about. Propeller ads is a very big ad network that has been in existence since 2011 with lots of webmasters already monetizing their websites with it. They provide different types of ads but their pop under ads pay most though it may not be advisable to use it if you really care about the user experience of your site, however, not using the pop-under ads and using just the banner ads indirectly means not making enough money from the network unless you have huge amount of traffic. Propeller may be the best ad networks for website categories that are unsupported or not earning well with adsense like gambling, hacks and cheats, dating, entertainment etc. You can also earn more by using it in countries where adsense cost per click is very low like Nigeria, Myanmar, India and many others. If you don't want to stress yourself with cpc calculations or worry about your earnings not properly finalized at the end of the month then i suggest you go for Affiliate Marketing where all you do is recommend and sell a product on your website and be paid a commission for it. 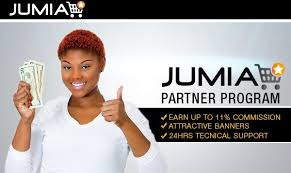 There are lots of affiliate marketing companies but Amazon or Jumia's affiliate program happens to be among the best you can trust and their registration procedure is very simple to understand and follow, you get paid when someone buys goods on either Amazon or Jumia through the affiliate sales banner placed on your site. Infolinks is the perfect ad network for anyone who wants to monetize his or her website uniquely, with the In-Text Ad on the network you can monetize your web content without placing a visible banner, you can also make lots of money with it's In-Frame ads. Lots of bloggers who got banned from adsense switched to infolinks and fortunately they are making it on the platform, the most interesting thing is that you can use the network with most other ad networks including google adsense, their review for approval only takes few minutes and new websites are approved too. 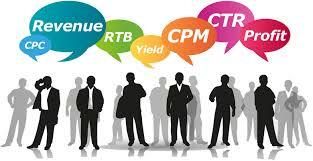 Do you want a CPC ad network that shows relevant ads as Adsense does? you've got the right one here. Chitika can be used with adsense as they both provide similar ads and it has a very low payment threshold ($10) via paypal while you can get paid via check when you earn $50. There are lot's of reasons to choose Chitika over other adsense alternatives but the top two reasons are those i listed above and also the ability to change the color of the ad text, border and URL. Bidvertiser is very similar to chitika in terms of payment because they also allow you withdraw your earnings via Paypal or Payza once it's $10 or more. They can be used for monetizing mobile and desktop traffic and their ad units are of different times with banner and text being some of them. Bidvertiser's review process is very quick and they hardly disapprove any website whether old or new, large traffic or not, free or custom domain. Another good adsense alternative with good banner ads, good cpc and most importantly, good revenue. Adversal is one of the not so many google adsense substitutes that you can earn some cool cash with online without hurting your website's user experience. Adversal supports almost all kinds of sites and languages but you may need a website with good traffic to be approved into the ad system, Payments are made via Paypal and some other methods. Viglink is similar to infolinks ads in a way but the difference is that viglink works more as an Affiliate ad network so it\s best used on business and E-commerce sites, the similarity between infolinks and viglink ads is that they both make use of the content text for adverts, while infolinks pays you for clicks on the text ads, Viglink pays you for sales made through the ads. Viglink automatically converts and places an ad on any product text on your posts as you specify and you get paid when someone buys a product through your text ad. This ad network is recommended if you want your site to maintain a good reputation on Google search, payments are made anytime via Paypal. Just as the name implies, BuySellAds is an adsense alternative that deals solely on banner ads, their pay is good and you can cash out with Paypal, Check and Wire Transfer. A disappointing factor about this network is that it hardly accepts sites with low traffic, even if it does you may not make as much money as expected so it's better you build your traffic before applying. Revenue Hits has been hitting the ad market for a long time now with an extensive list of ad options which includes pop-unders, banners, buttons, sliders and may more. They also offer personalized that suits your content by automatically analyzing and modifying the type of ads displayed on every page, interesting they approve sites with not so good traffic. Revenue Hits is trusted as they've been operating for long and currently having a large number of publishers monetizing with them, they pay on a NET 30 basis via Check, Wire Transfer, Paypal or Payoneer. I hope i have listed enough alternatives to adsense that you can use on your website or blog, you may be confused on which of the options to use however you shouldn't be because they all have areas where they work best. While you can use Media.net, Viglink, BuySellAds or Affiliate Marketing on a website with huge daily and monthly traffic, you shouldn't use them on low traffic websites because you may not make any money even if you're accepted into their system rather you should try the likes of Propeller, Infolinks, Bidvertiser and the others. I wish you the best and hope you make enough money online in the near future.